Colombia Saturday demanded that Cuba hand over ELN rebels who were in Havana for peace talks, after a deadly car bombing Bogota blames on the group. Conservative President Ivan Duque urged Communist-ruled Cuba -- a host and one of the guarantors of the peace process -- to send home National Liberation Army (ELN) rebels who were in Havana. 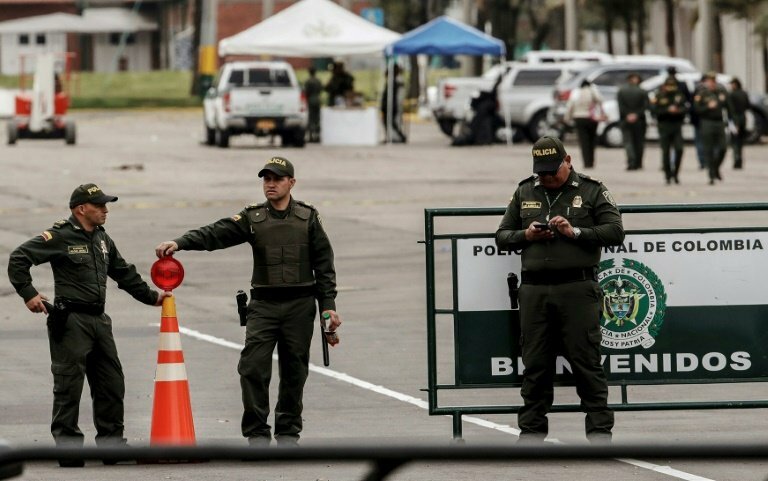 On Friday, the government blamed the leftist ELN for the bombing of a police academy in Bogota that killed 20 people as well as the attacker, and dealt a body blow to the peace process. Duque then announced that he was reinstating arrest warrants for 10 ELN members who are part of the group's delegation to the Cuba talks. The talks -- started with his predecessor -- were aimed at ending more than five decades of insurgency by the Marxist-inspired insurgents. Duque said that Cuba must not protect the rebels. The police academy car bombing "was a crime that violated human rights. And no such act deserves (Cuba acting) to avoid justice being done," Duque said while giving a speech in Tolima. Colombia has experienced several years of relative calm since the 2016 peace accord signed by then-president Juan Manuel Santos and the Revolutionary Armed Forces of Colombia (FARC) guerrillas. With the landmark agreement turning the former rebels into a political party, the smaller ELN is considered the last active rebel group in the country. True to his election promises, Duque has taken a hard line against the ELN, including his demand they release all hostages as a prerequisite to kick-starting the peace process. The group is believed to be currently holding 17 hostages, some of them for several years.